Intel Corporation has a long history as a technology innovator and supporter of education within the high-tech industry and the Silicon Forest of Oregon. 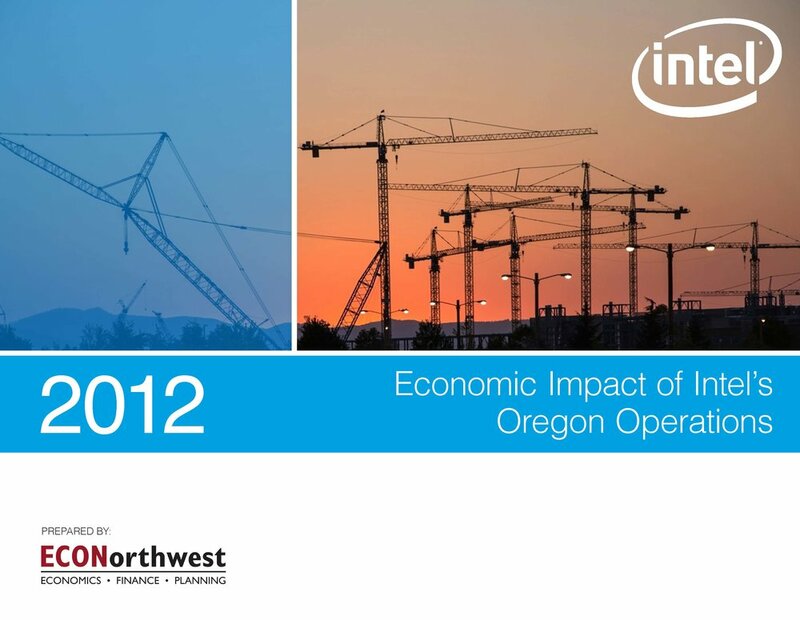 In 1998, Intel commissioned ECONorthwest to estimate the economic and fiscal impacts associated with Intel’s Oregon operations from its inception in 1974 through 1997. Since then, we have completed updated studies—from 1998 to 2001, 2005 to 2009 (completed in 2011), and 2013. Intel included the results in a presentation to President Obama when he visited Intel in 2011. ECONorthwest is currently assessing Intel’s 2016 impacts. Road Pricing for Regional Governments Across the U.S.